Experts have estimated that China's intellectual property theft costs the U.S. economy hundreds of billions of dollars, but the cost to China of stopping the violations remains unclear. The cost question may be crucial to China as it negotiates intellectual property (IP) safeguards with Washington in the midst of an economic slowdown. After decades of developing its industries with IP obtained abroad, China could be facing the end of its free ride on foreign technology at a time of weakening growth. Meaningful IP protection is one of the top agenda items for the United States in negotiations to ease tensions with China, along with the trade imbalance, tariffs, subsidies, market access and other non-tariff barriers. But quantifying China's costs for compliance with U.S. demands on intellectual property rights appears next to impossible, in part because of the wide-ranging estimates of economic damage from IP theft to the U.S. side. A frequently-cited 2017 report from the independent Commission on the Theft of American Intellectual Property (IP Commission) found that "the annual cost to the U.S. economy continues to exceed [U.S.] $225 billion (1.5 trillion yuan) in counterfeit goods, pirated software, and theft of trade secrets and could be as high as $600 billion." The report named China as "the world's principal IP infringer," accounting for 87 percent of counterfeit goods seized by the United States. It also pointed to China as a main source of hacking that cost the economy an estimated U.S. $400 billion a year. The commission, which is a program of the nonpartisan National Bureau of Asian Research (NBR), acknowledged the difficulty of determining exact estimates. It could find no reliable data on damage from patent infringement, for example, but it estimated the cost of trade secret theft as at least U.S. $180 billion annually. Such rough estimates may only serve to suggest the scope of the IP problem. But they may be even less useful in estimating China's cost of ending IP infringement and developing new technology and products solely on its own. In any case, China's cost seems unlikely to be a zero-sum calculation that would simply shift the damage from violations back onto China as a subtraction from its economy. Some analysts doubt there would be any cost to China's economy, at least in the short term, because any concessions it makes to U.S. demands on IP will be cosmetic or poorly enforced. "IP doesn't matter to short-term economic performance. So China's current macroeconomic weakness is not one of the many reasons it will only make fake IP concessions," said Derek Scissors, an Asia economist and resident scholar at the American Enterprise Institute in Washington. Despite reports of progress in bilateral talks, Scissors doubts that China's promises will bring an end to IP theft. "If you do decide to hold your breath for IP change in China, update your will first," he said. Recent reports from China on the IP issue give reason for skepticism. One of the biggest disputes that has yet to be settled is over forced technology transfer, China's long-standing requirement that foreign investors share technologies with domestic joint venture partners in order to gain access to the Chinese market. Since the 1990s, the forced technology transfers have been fundamental to China's industrial development, most prominently in the auto industry. Over the decades, the transfers have been worth tens if not hundreds of billions of dollars to China's manufacturing sector. Washington is concerned that China will use similar strategies for its "Made in China 2025" initiative to gain supremacy in technologies including advanced robotics and artificial intelligence. In recent weeks, China has pursued two tracks in negotiations on the issue, suggesting it will end forced technology transfer requirements while arguing that they don't really exist. On Dec. 23, the official Xinhua news agency reported that a new draft foreign investment law approved by the Standing Committee of the National People's Congress "encouraged voluntary technological cooperation based on business rules." Technology cooperation "should be decided by all parties of investment through negotiation, while government departments and officials cannot use administrative means for forced technology transfers," the committee said. But on Dec. 21, Xinhua also reported on comments by China's Mission to the European Union in response to a complaint to the World Trade Organization against forced technology transfers. According to the mission, "there are not any Chinese laws or regulations that force foreign companies to transfer technology to their Chinese partners," Xinhua said. Instead, "technology transfer and technological cooperation between joint venture participants are in essence market behavior driven by mutual benefit and the government does not interfere in this process," the mission said. The two-track approach to the issue suggests that China may plan to continue the practice under the cover of conflicting definitions. According to a New York Times report, the draft investment law "would stop local officials from forcing foreign companies to transfer their technology as a cost of doing business." But that may not eliminate the pressure in practice. The Times quoted Donald Clarke, a George Washington University law professor, as saying that the pressure "often comes from behind-the-scenes maneuvering rather than strict government requirements." "It's very hard to stop through a specific rule," Clarke said. In theory, ending forced technology transfers could lead to far greater Chinese investments in domestic research and development to achieve the "Made in China 2025" objectives, increasing the country's costs with uncertain returns. State media reports have stressed the long-term growth of China's R&D investment, implying that it has relied solely on domestic IP for its development. Over a 25-year period, China's R&D spending rose at an average annual rate of 20.3 percent, reaching 1.76 trillion yuan (U.S. $257 billion) in 2017, the National Bureau of Statistics (NBS) said in September. China's government and state media have also highlighted tougher penalties and judicial review of IP cases, sending signals that Beijing is responsive to U.S. concerns. As part of a rush process since October, China's Supreme Judicial Court promised to establish a new IPR court to hear complex appeals by Jan. 1, with formal operations to start "soon," Xinhua said. At the same time, the government made the claim that it has already cracked down on an astonishing number of IP violations. In 2017, China's courts heard 213,480 IP cases, a 40.4-percent increase from a year earlier, the report said. Whether the numbers and the new initiatives add up to meaningful IP protection is open to question. Analysts say that real progress on the IP issue requires competitive change within China, regardless of demands from the U.S. and the EU. "The longer-term effect depends on how aggressively the Chinese move to protect their own IP internally," Scissors said by email. "Forget the U.S., if you create IP in China, do you get to keep it or does someone take it away? Are you even allowed to create IP that would render a large state-owned enterprise utterly uncompetitive?" he said. William Reinsch, an international trade expert at the Center for Strategic and International Studies in Washington, said that calculations of China's costs for real IP protection are difficult due to major variables. When IP is stolen from a foreign partner, the value is not totally lost, but it is reduced and undercut by unfair competition. Also, parties that acquire IP illegally may not be able to use it effectively, Reinsch said. While the cost to China of stopping IP theft may be impossible to determine, Reinsch believes that the government may not be reluctant to take meaningful action against it. 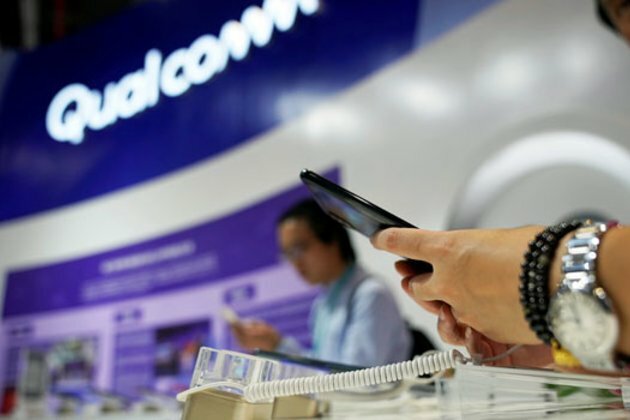 "It's a significant problem inside China between Chinese companies, and it is something their government has been fighting for some years, primarily to protect internally generated IP," he said. "The mechanisms they've set up benefit the foreigners as well." But Reinsch argued that a focus on costs in the dispute with China is asking the wrong question. "The bigger problems are subsidies and state-owned enterprises," he said.